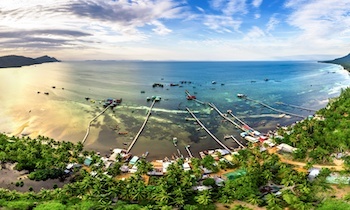 Vietnam is an amazing and wonderful destination in Southeast Asia with a lot of interesting things for enjoying. 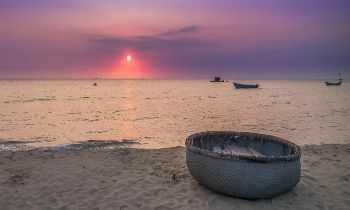 It is the reason why there are a lot of tourists choosing Vietnam to enjoy their honeymoon. 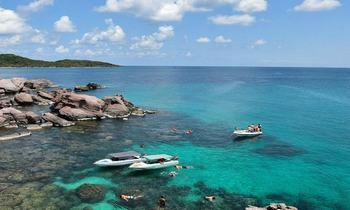 Therefore, the post will introduce the best place for your unforgettable and romantic honeymoon. 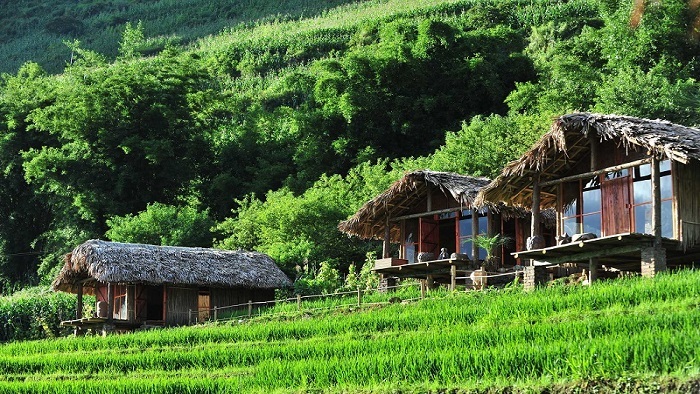 The first choice for your honeymoon in Vietnam is Sapa. Amazing scenery and unique culture in Sapa is an attractive highlight for young couples to re-mark the sweet memories of the honeymoon. Furthermore, when visiting Sapa, tourists will have a chance to admire the beauty of landscapes and rich in the culture of Sapa. Therefore, you will have unforgettable and amazing experiences in there. Moreover, when visiting the place, tourists also enjoy famous and special traditional and local foods which have good taste. In addition, Sapa is known as one of the most famous tourist areas in Vietnam, so you can set in mind about services in there. 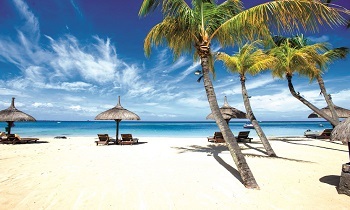 You can comfortable to choose hotels or resorts from superior to luxury depending on your budget. In another case, if you do not want to spend much money on a hotel but you still want to stay in a beautiful place, Sapa’s homestay is the best choice for you. There are a lot of beautiful homestays at a reasonable price such as Viettrekking homestay, Topas Eco and so on. Although there are many hotels and resorts in Sapa, you should book a hotel in advance to make sure that you will have a suitable and ideal hotel for your own, especially the peak season. In order to have a good and safe trip in Sapa, you should prepare your luggage carefully because of Sapa’s weather and the terrain is quite different from other destinations in Vietnam. First of all, you should bring a sports shoe which will help you easy to transfer to other destinations. Furthermore, you should bring a coat and raincoat to avoid weather changing during traveling in Sapa. If you don’t want to spend the time to travel in northern Vietnam, you don’t forget to visit Hue-Dang- Hoian. As three places close together, and convenient travel without spending too much cost, Hue-Da Nang-Hoi An is also bringing many different emotions for newlyweds. When visiting the quiet and sweet of Hue, you will see the way of human life is peaceful and strange. Certainly, visiting Hue, you can not ignore the points such as Tomb of Minh Mang, Tomb of Tu Duc, Tomb of Khai Dinh, Citadel, Hoang Thanh, Tu Cam Thanh, Thien Mu Pagoda, Dong Ba Market and etc. In order to continue the honeymoon trip, you come to the most exciting city with a lot of interesting activities and imposing landscapes- Danang. When visiting the place, you should spend the time to visit space full of sun and wind, dense primeval forest, and immense beach from My Khe beach, Han bridge, Tran Thi Ly bridge and so on. You don’t forget to enjoy the thousands of cloudy mountain winds at the top of Ba Na and experience the unique mountain climbing service. 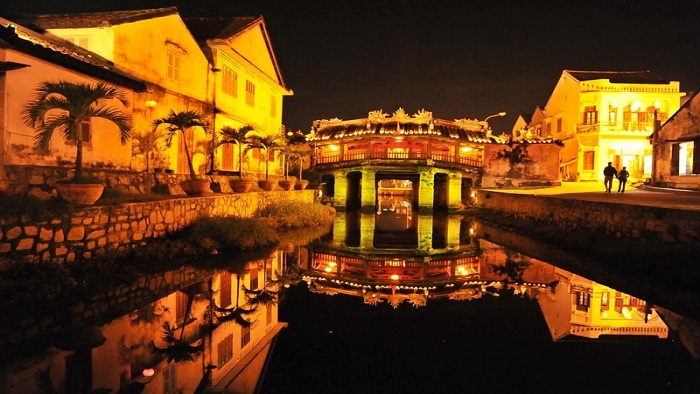 When visiting the place, tourists will hand in hand to explore the ancient town of Hoi An, immersed in a quiet space but also very attractive in the old town. Furthermore, it is a really romantic and amazing time, when leaning on each other's shoulders on the boat, sharing romantic moments while and watching the sunset on the Thu Bon River, as well as exploring My Son which is the famous mecca of the Champa Kingdom. When talking about the best place for enjoying Vietnam honeymoon, Dalat is the “must-see” because the atmosphere in Dalat is really romantic and suitable for a honeymoon tour. 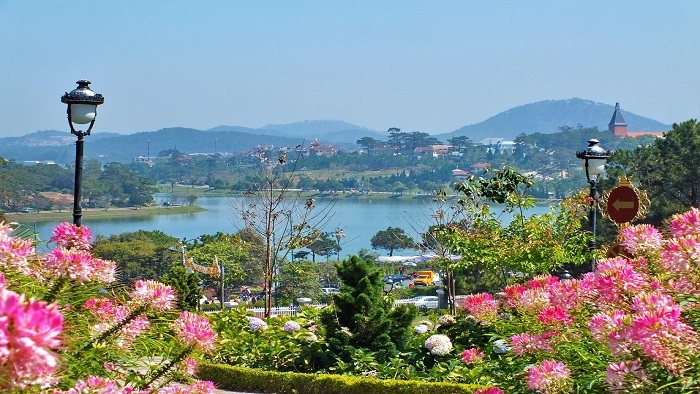 Dalat is known as the land of thousands of flowers, the paradise of love, and all the most romantic belong to Dalat. Furthermore, Dalat’s streets are famous for couples who love each other as well as honeymoon couples. Da Lat always had warmth and did not want to leave for anyone who came here. Actually, you can visit Dalat every time in the year but the wonderful time to travel to Dalat is from September to November. During the time, tourists will have the chance to admire the beautiful and imposing flower gardens with a lot of wonderful colors. Furthermore, the chill of the weather in the east creates an extremely romantic but warm space for couples. In addition, strolling on the quiet streets between the golden and wildflowers on the roadside, tourists will have the chance to enjoy the fresh air. Moreover, it is a romantic feeling when walking hand in hand to walk on the quiet pine hills, so you will know that the Southern winter is worth it loves. You can not miss out traditional and local foods such as wine, strawberry, Kopi Luwak and so on. Furthermore, Kopi Luwak is a famous and delicious coffee in Vietnam, therefore, you don’t forget to enjoy the wonderful café. One of the famous destinations for traveling on a honeymoon is Halong Bay. Sitting on a yacht on Halong beach, admiring the poetic and romantic sea view with the blue water in the morning and the mysterious and peaceful scenery when the night comes, it is wonderful for new couples to share a house. When visiting the place, tourists should spend the time to visit interesting and amazing activities in Hon Gai market, Halong night market and admire the natural beauty in Bai Chay bridge. the place is quite impressive but the cost is significantly reduced compared to other points. If you can go to the bay to watch the sea and stay there, fish that there is nothing wonderful in this honeymoon trip when the person in hand with the breath of sea gas and sparkling candles virtual glowing on the sea. 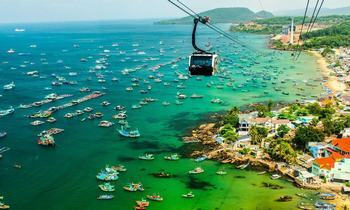 Nha Trang is one of the famous city with a list of luxury and stunning resorts. 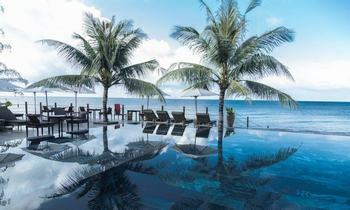 Therefore, if you want to enjoy amazing and luxury services, you don’t forget to visit Nha Trang. 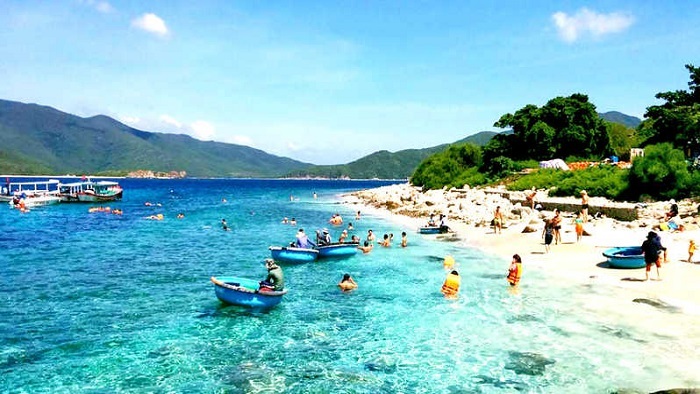 When visiting the place, tourists cannot miss out famous destinations in Nha Trang such as Vinpearl Land, Tien spring, Hon Mun marine reserve, Thap Ba hot spring, Con Se Tre tourist area and etc. 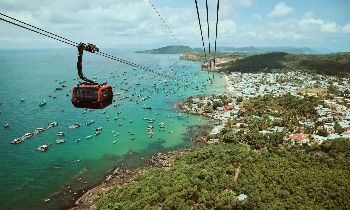 Besides that Nha Trang’s cuisine is also the wonderful point with tourists, so you do not miss out specialties of mountains and forests, only want to inhale forever, not only: jellyfish noodles, soup cakes, squid rim me, Lac Canh grilled beef and so on. 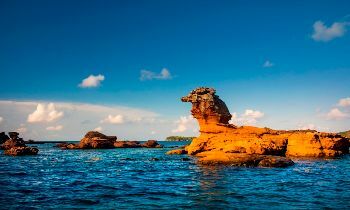 It is known as the pearl island in Vietnam, so Phu Quoc is an amazing destination to travel in Vietnam honeymoon trip. 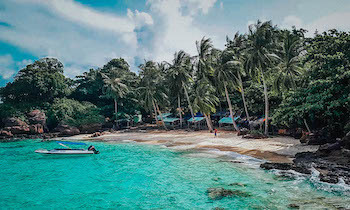 When visiting the place, tourists will have the chance to admire the beauty of the island through interesting activities such as swimming, scuba diving, fishing and so on. 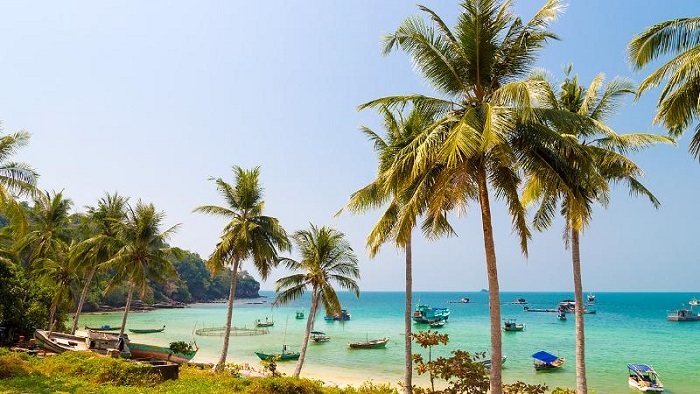 Furthermore, there are a lot of attractive things to do and things to admire on the island, so a lot of tourists choose the place for enjoying their Phu Quoc tour- honeymoon trips. 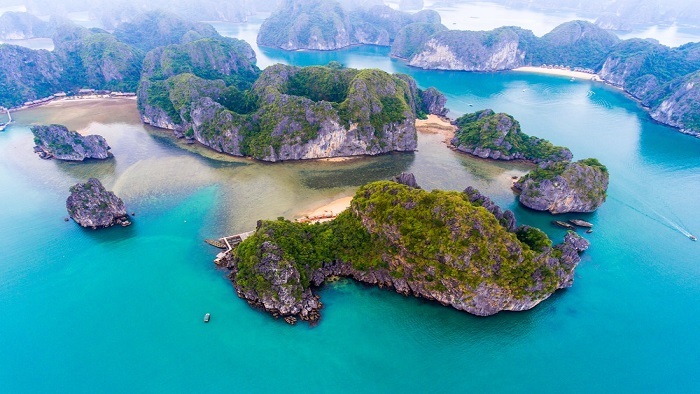 Hope that after the post, tourists will have useful and necessary information about famous and beautiful places for honeymoon trips in Vietnam. If you need more useful information for traveling to other destinations, you don’t forget to visit our website to get more.